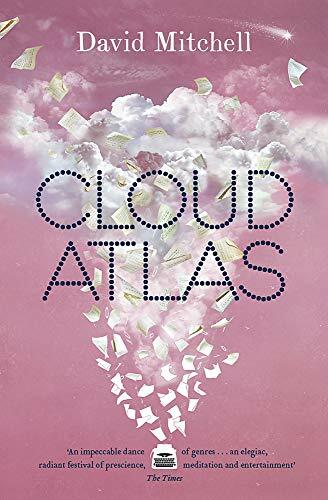 Cloud Atlas by David Mitchell is a clever book. Shortlisted for the Man Booker Prize 2004 it is a collection of 6 stories that begin in the 19th century with a diary of a lawyer crossing the Pacific in 1850 (the dullest story), a unknown composer working in pre war Belgium (ok); a journalist uncovering corruption in 1980s California (good thriller); a publisher running his creditors and ending up in a retirement home (very funny); a genetically modified fastfood worker clone (the best story); and a young Pacific Islander in a post-apocalyptic future (too weird). The stories all relate to each other in some way, but I can’t help think the author had 6 short stories who couldn’t fatten up so published them as one. The best story about a clone in the future has some great touches – objects are named after the brands, the same hoover is a generic name for a vacumn cleaner, ford is a car, exxon is petrol, sony is a computer – would like to see a whole book about this part.